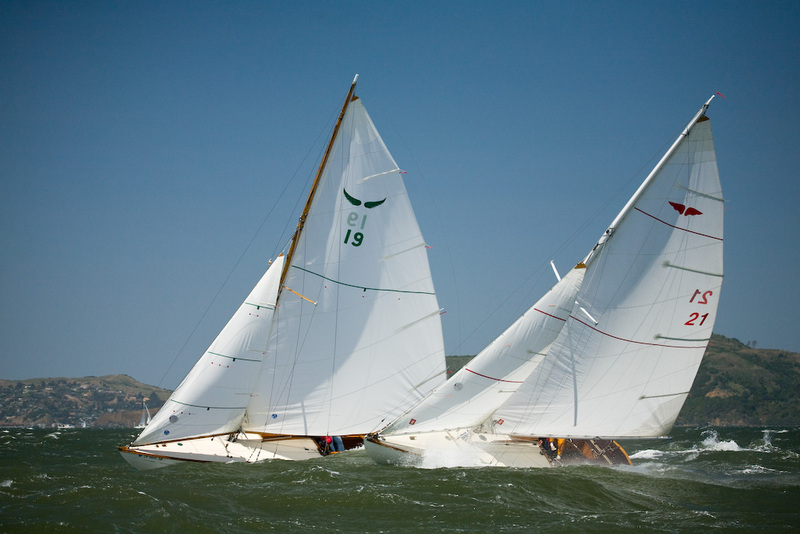 Take two of the Bay’s oldest racing sailboats and stack ‘em up against each other for the Bay’s oldest sailing trophy and you’re bound to get one heck of a good sailboat race. At least, that’s what Bill Stucky and crew on board Polly, his 83-year old Bird Boat, are hoping for on Saturday when they go up against Robin, another Bird, in a match race that’s in its 104th edition. 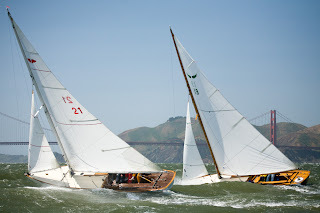 This year marks the 90th anniversary of the first Bird Boat, a classic wooden sailboat specifically designed for racing on San Francisco Bay and the first one design fleet on the West Coast, while the San Francisco Perpetual Trophy, first raced on the Bay in 1895, is purported to be the second oldest match-racing trophy in sailing behind only the America’s Cup. The SF Perpetual Cup is held in Trust by the two senior yacht clubs of San Francisco Bay - the Corinthian Yacht Club (CYC) and the San Francisco Yacht Club (SFYC). It’s a Challenge Cup, with the holder accepting a challenge annually from another yacht club. Both clubs must be on the US Pacific Coast. Cup stats indicate the long-time rivalry between the two oldest clubs in the Bay Area. While SFYC is the current holder of the Cup, in the 103 challenges for the Perpetual Cup since 1895, the CYC leads in overall wins with 27 and SFYC is second with 26 wins. St Francis Yacht Club is third with 14 wins, and San Diego Yacht Club (SDYC) is fourth with 16. CYC last won the Cup in 1954 - it’s recently been dominated by SFYC and the SDYC, with one of the two winning in every edition since 1994. The Cup can be held in any kind of boat as long as the Defender is willing to accept the Challenge and Bird Boats historically were more active in the event - the last time CYC won in a Bird boat was in 1945 when they won on Teal. 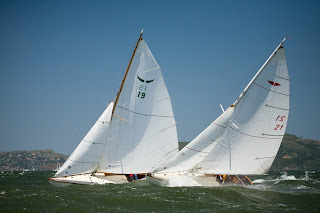 This year Stucky, a member of both SFYC and CYC, decided it was high time for another challenge in the Birds so wrote a request to the CYC Commodore to challenge SFYC for the SF Perpetual Cup - in Bird Boats. Robin - owned by SFYC members Pat and Cissy Kirrane - is one of three Birds that “lives” at SFYC - she is hull number 18 and Stucky's Polly is number 19. 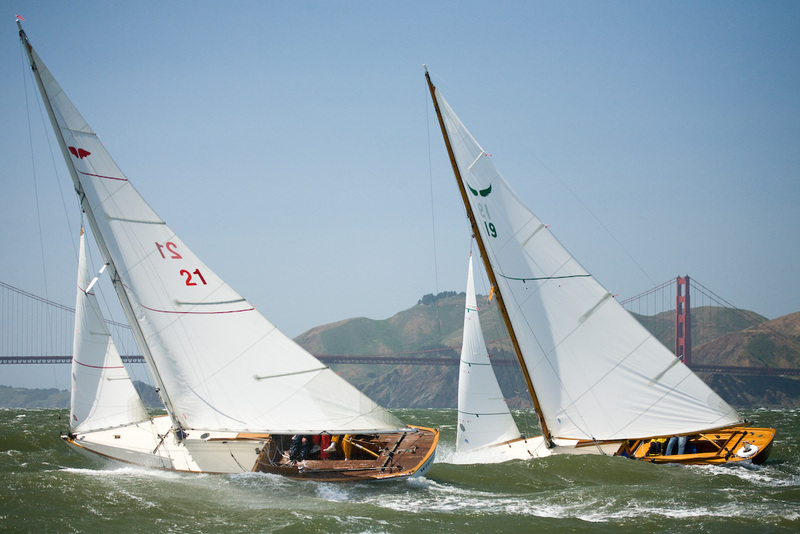 Both were built in the Stone Boat Yard in Alameda in the winter of 1929, and as a result, probably the two most identical Bird Boats says Stucky, which makes a match race between the two all the more compelling. “There’s no reef on it so we can be out there in 25 to 30 knots of wind and heading straight into the wind - it’s a beautiful boat to sail in these conditions. At 30 feet, she’s a bit tight in quarters and that boom flies around quite fast!” Stucky enthuses. He’s owned Polly for six years, having learned of her availability while sitting at the bar at St FYC where he heard that Polly was for sale for $20,000. Stucky had a friend make a quick phone call and within 15 minutes he’d bought her - for $18,000. The Bird’s sail plan is pretty simple - giant main sail and a small jib. Stucky reminds that in “those days” there were no winches so the men who were trimming on Bird Boats tended to be pretty beefy because they were pulling on huge lines due to the massive sail size. He races Polly all season in some 13-14 races against other Birds including Robin, Widgeon, Curlew, and Grey Goose. What’s Polly’s best point of sail? Stucky will sail foredeck, Daniel Thielman (Tiburon, Calif.) will be on helm, with Chris Watts (Capitola, Calif.) as tactician and David Johnson (Tiburon) crew. The SF Perpetual Cup is scheduled to start at 11:30am on Saturday, and racing will be on one of two course areas: to the immediate west of Alcatraz, or in the vicinity of Southhampton Shoals in case course area one is untenable on race day, with each of the three races between 45 minutes and one hour. On Sunday, at SFYC, there’ll be opportunities to sail on one of six classic Bird beauties on public display, including Kookaburra, which was purchased for just a dollar because she was in such bad repair. Recently rebuilt, she’ll be making her first public debut in many years.